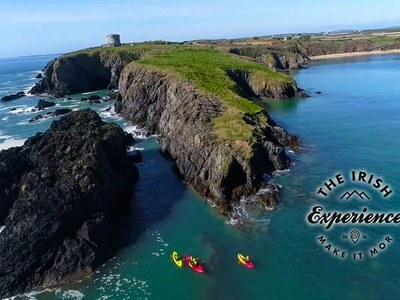 Stay with us longer and use us as a base to discover the very best of what Ireland has to offer! Looking after our clients on our tours is our number one priority. You will be involved in anything from our tour preparations, meeting and greeting, helping clients gear up, washing an cleaning and helping us with our small accommodation offering. This position needs somebody flexible, ready to do many different tasks. We are a very weather dependent operator! Of course being in Ireland we never know what the weather is doing! Keeping that in mind we do need you to be extremely flexible in this job. Maintenance around our base and keeping it clean and tidy is always an important job with many tasks to be undertaken throughout the year. Treat our clients like you would love to be treated when on vacation! Carry out your work like you were doing it for yourself , at home or in your own workplace.